Munro & Forster has been app­ointed to promote next March's inaugural Climate Week, an initiative aimed at invigorating the public's view of climate change. The event’s comms is headed up by Phil Drew, formerly campaign manager at Unity. Drew said: ‘The main challenge is getting cut-through. We need to drive home our point of unique difference. It’s not about awareness raising, it’s about cataloguing change. 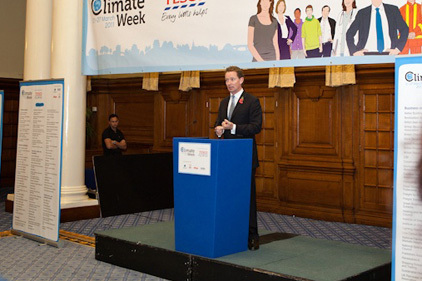 Climate Week’s headline commercial partner is Tesco, along with four supporting partners: Aviva, EDF Energy, Kellogg’s and RBS. The week will draw heavily on celeb­-rity endorsement, with McCartney, Sienna Miller and Jarvis Cocker among those involved.